MADE TO MEASURE Custom Slacks. Dress Slacks and Casual Slacks. Custom made to fit you perfectly. Custom styled just the way you like. And The World’s Finest Quality Fabrics. 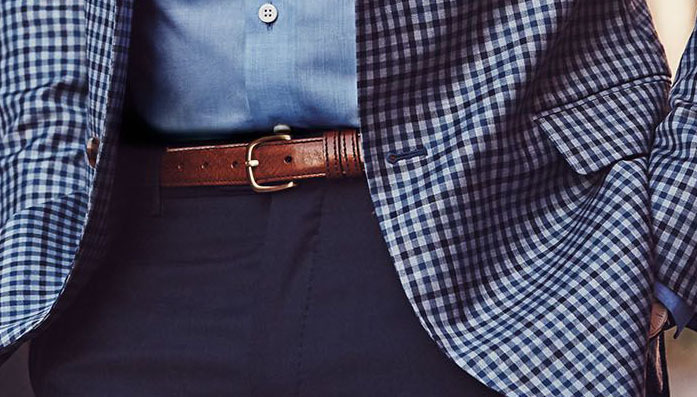 Whether you like your slacks styled with pleats or plain front, a trim fit or an easy fit, a short rise or a long rise, we custom make slacks to fit you perfectly and styled just the way you like. 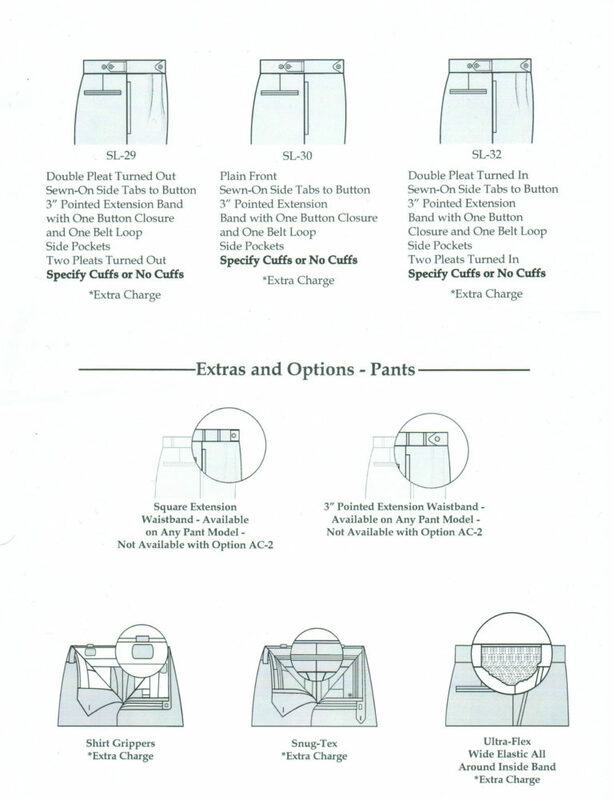 We custom make Dress Slacks and Casual Slacks. 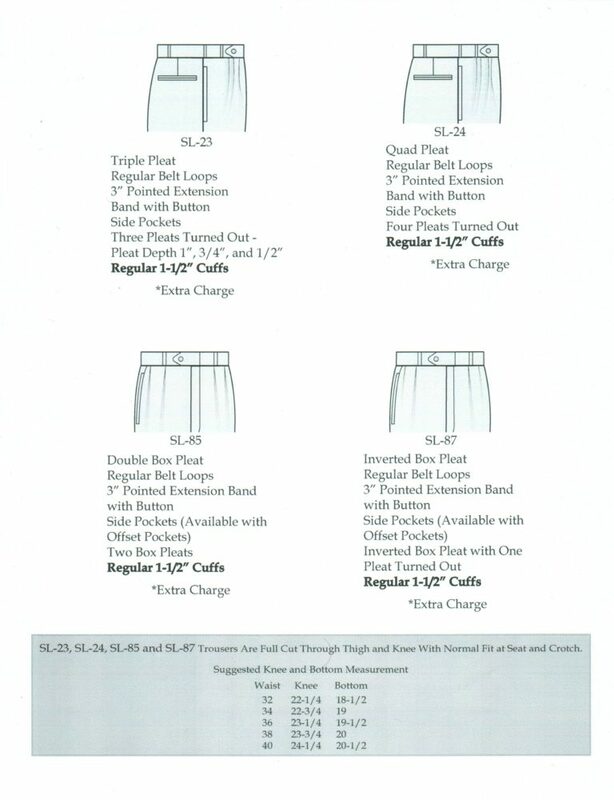 Custom slacks start at $335. 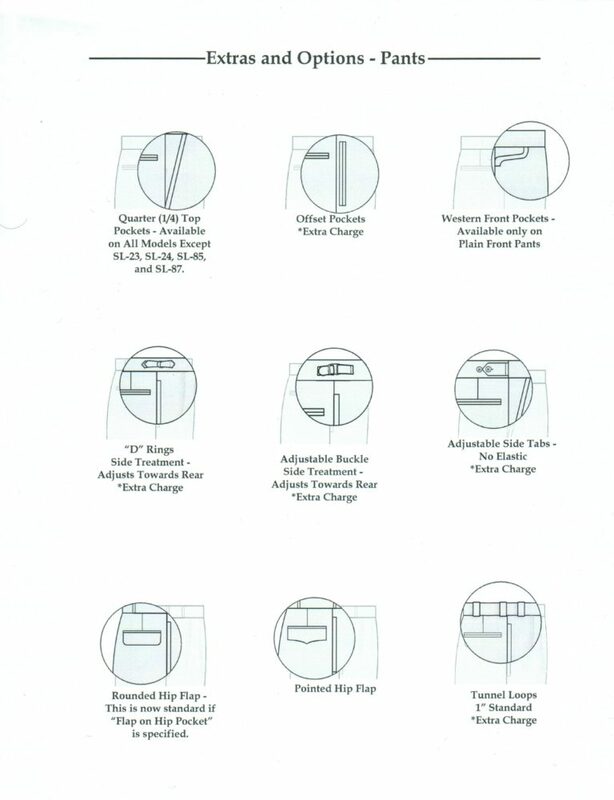 Our Made To Measure Custom Slacks feature a special reinforced two piece non curl waistband made with box pleated curtain linings, rubber waistband grippers, a nickel coated metal or Talon Nylon zipper, a half lined trouser, a reinforced seat and heel guards. 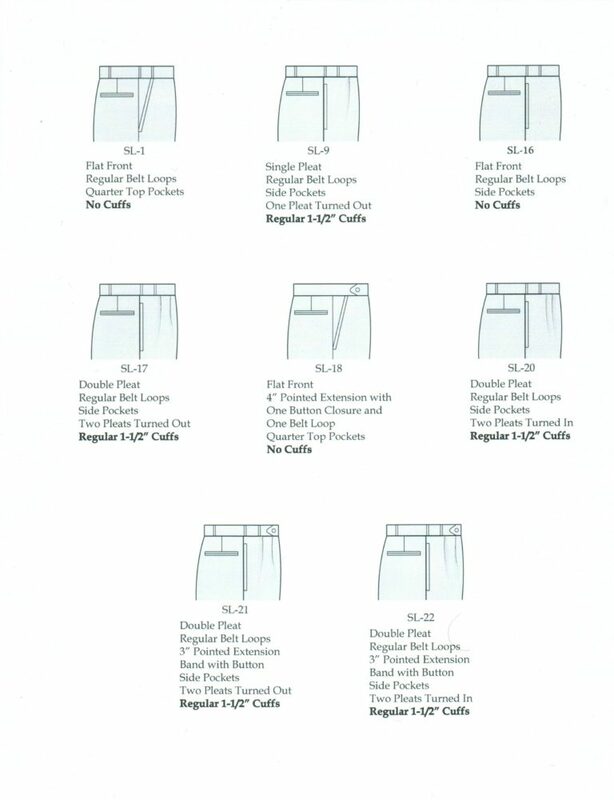 Browse thought the various styling options below to custom style your slacks just the way you like.